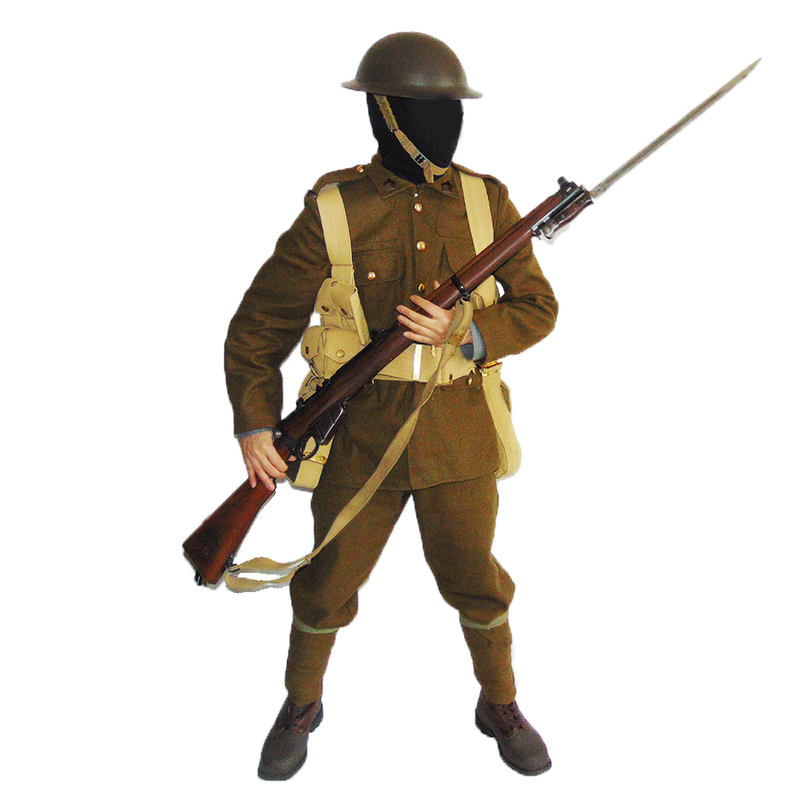 The British Army Mk. 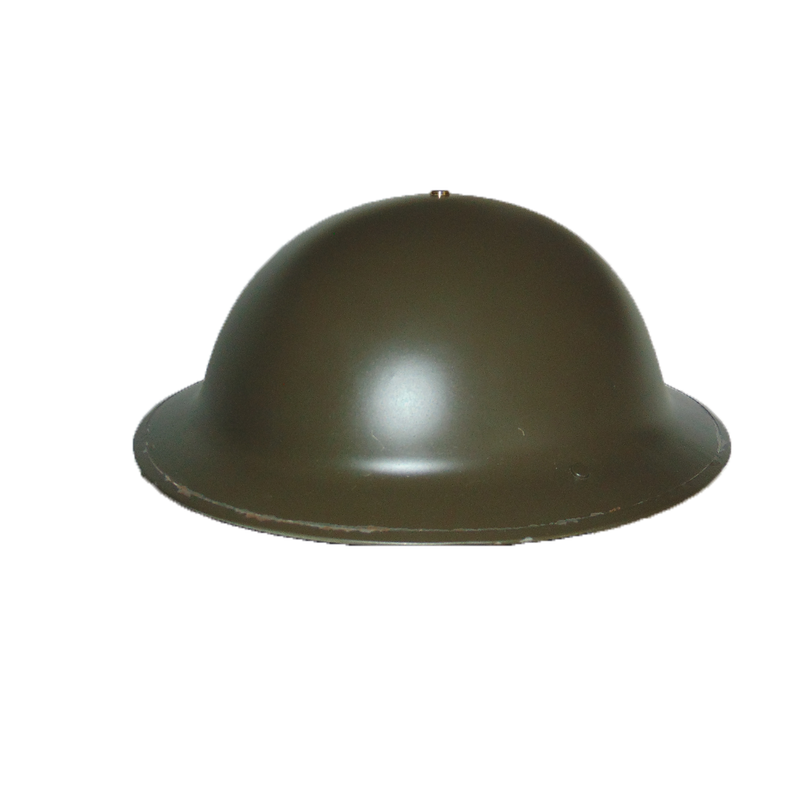 II Brodie Helmet is a derivative of the original Brodie Helmets first patented in 1915 for issue to British and Commonwealth soldiers during the Great War. 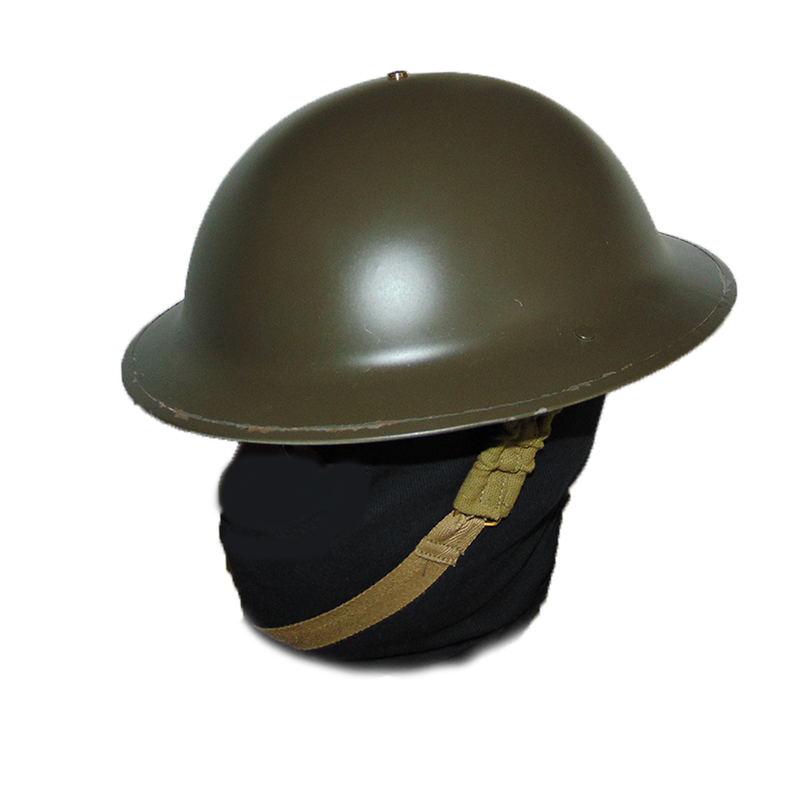 The iconic helmet would recieve the designation as the M1917 in the United States, and continue to see service long afterwards well into the Second World War. These specific reproductions are Second World War British Mk. II Helmets, which were first issued in 1938. 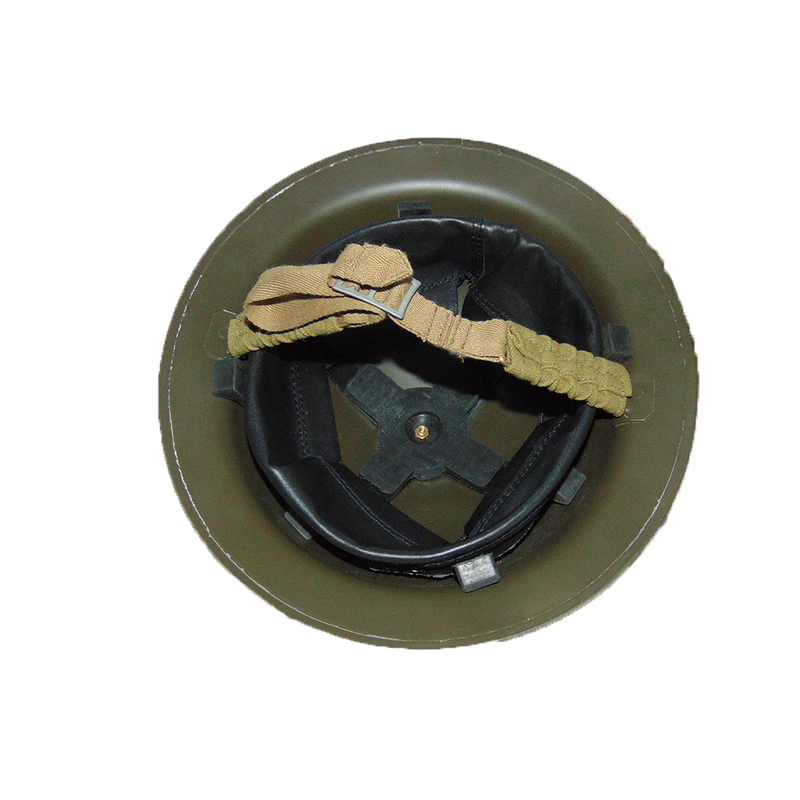 The specific improvement of these helmets was the inclusion of a non-magnetic rim so the wearer could use a compass without issue. They would be issued to all elements of the armed forces in the British Army, and throughout the commonwealth, even seeing service with civil defense organizations before being slowly replaced beginning in 1944. 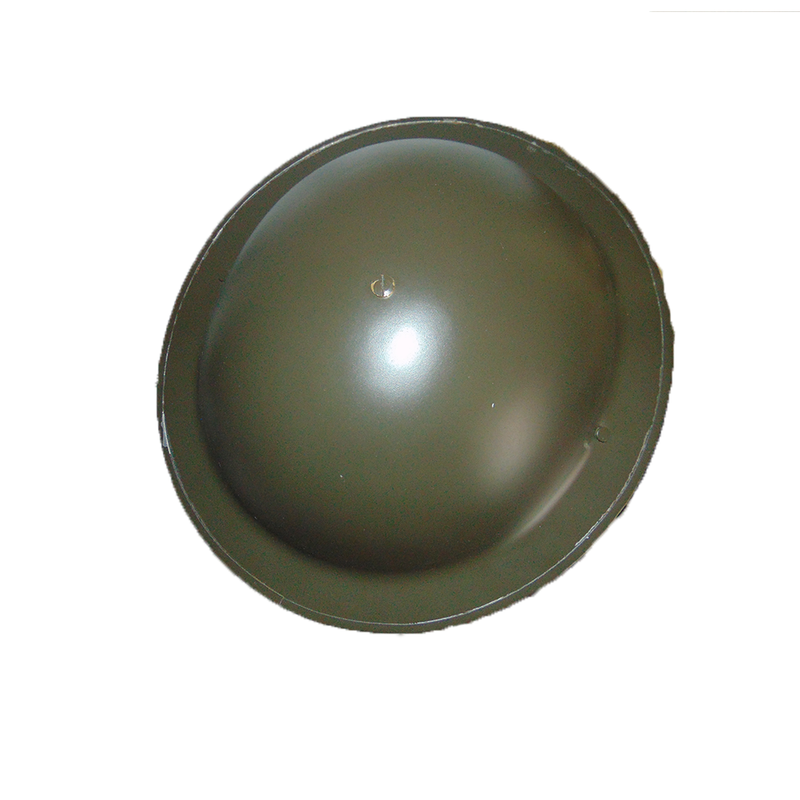 These helmets are well produced and economy priced, making them an ideal piece of kit to bash around for your local reenactment, civil defence drill, or just to keep around the house as a relic of the millions of British and Commonwealth men who wore these iconic "tin-hats".